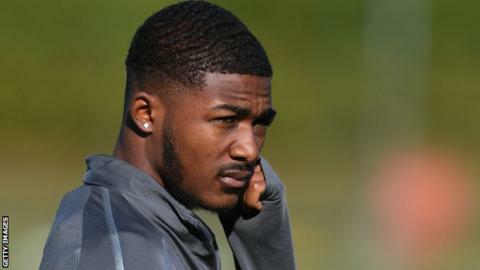 Arsenal’s Ainsley Maitland-Niles says he was the victim of racial abuse while playing for the Gunners youth team. The midfielder said he was 12 and playing an away game in Germany when it happened but “nothing was done”. His comments come as police investigate allegations Manchester City forward Raheem Sterling was racially abused at Stamford Bridge on Saturday. “It hurts to talk about it but it is so important to get rid of it from the game,” said Maitland-Niles, 21. Social media users posted a video of an incident during the first half of Chelsea’s 2-0 victory over City, during which Sterling was shouted at as he collected the ball from behind the goal. The following day, the England international said newspapers were helping to “fuel racism” because of the way they portray young black footballers. “I think it’s disgusting,” said Maitland-Niles. “I really do credit Raheem for coming out and standing up for himself and other players and speaking about it. Speaking about his own experience, the England Under-21 international said it had been “similar” to the Sterling incident and that he was abused as he went to pick the ball up for a throw-in. “What can I do? I just got on with the game, as he did,” said Maitland-Niles. “To me, responding to it is scoring a goal to put their team down. I only thought they were doing it because I was having a good game. He added: “At the time, I just spoke to my dad about it and he did sort of give me the heads up and showed me a few things about racism before my time, when I was playing football, just as there still is in the game now. Meanwhile, Arsenal boss Unai Emery says he “trusts” his players after images emerged allegedly showing four members of the first team inhaling nitrous oxide. CCTV footage obtained by the Sun shows Alexandre Lacazette, Matteo Guendouzi, Mesut Ozil and Pierre-Emerick Aubameyang all inhaling from balloons allegedly containing the substance, known as laughing gas or “hippy crack”. The club said last Friday the players would be “spoken to and reminded of their responsibilities”.